Dance has a significant part to play in the health and wellbeing of children, combining physical activity, social interaction, creativity and expression. Surveys have shown dance is second only to football as the most popular activity among children and young people. Most importantly, dance is a fun source of exercise and all inclusive. If you have any questions about the services Project Dance offers or would like to make a booking, please get in touch. "Our children enjoyed the dance lessons and developed the confidence to perform routines in front of others. Definitely recommended!" "Rachel came in to our school for a 2-day whole-school dance workshop. From start to finish, she was full of energy and able to fully engage each year group she worked with. 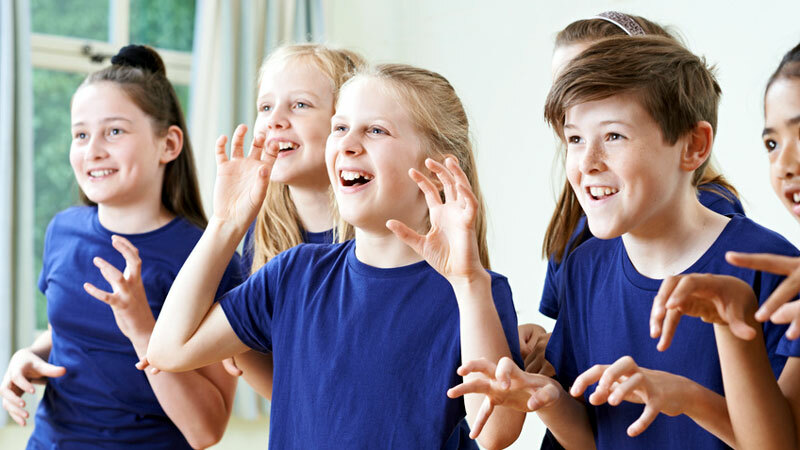 The 'Musicals' workshop was well thought out, with dances suitable for all children, from Reception class to Year 6. The performances at the end of the day were excellent too and it was great that we could see what each class had been working on throughout the day. All of the children and staff had a brilliant time and were talking about the day with lots of enthusiasm afterwards. As this workshop was such good value, we would not hesitate to book again - thank you!" "The sessions were fun, very active and fully inclusive and enabled our children to perform a dance sequence that helped them to re-tell the story afterwards. Children and staff clearly enjoyed the dances and we have invited Rachel back to run a series of dance sessions for us later in the year!" "We engaged Rachel after meeting her at a teachers' CPD event. Having been impressed with her professionalism and enthusiasm, we asked her to help with a whole school Samba dance for the opening ceremony to our Rio themed sports day. She delivered year group workshops throughout the day which engaged and challenged children with sustained activity and coordinated a whole school performance brilliantly. Finally Rachel left us with choreography instructions and music so we could deliver our performance. We have no hesitation in thoroughly recommending Rachel and Project Dance." "Thanks for all your help preparing the our Year 5 students for the Chelmsford Schools Gotta Dance Show. The children had a great time and were still buzzing the next day!" "I was so impressed with the choreography presented to my pupils and the pace at which it was delivered. Pupils coped really well with this and were able to take in and remember a great deal of content quickly. Attention to detail was also important to Rachel and this led to a very polished performance in the show." "Rachel came to our school to host an amazing afternoon of dance and aerobic activities, celebrating our Healthy Schools week. The session was broken into two sections,one for the KS1 children and another for KS2- both lasting 45 mins, the children had a fabulous time and it was action packed. Rachel was super at giving clear instructions, in terms of the steps and movements, meaning that all ages were able to participate with ease (including the teachers!) Overall it is was a fabulous end to a great week and lots of fun for all. Thank you so much Rachel!" "Thank you for a great day. We all had fun learning new dances. The children were fully engaged and it was lovely to see both boys and girls who struggle in the classroom suddenly come alive and lose themselves in Dance. The Year 1 classes enjoyed moving in the style of Bollywood and were still doing the dance moves when they returned to class. The Year 2 children rose to the challenge of learning some Spanish dancing and were telling their parents about it as they went home. A brilliant start to John Ray Infants' multi-cultural week. Your clear instruction, choice of music and pitching the dances at the right level all added up to a really enjoyable day that motivated and inspired everyone. Thank you very much." "Rachel and Project Dance worked with some of our Y4/5/6 pupils for 3 hours to prepare them for the Schools Gotta Dance festival at the Civic Theatre. The results were astonishing. What the group achieved in a short time was remarkable. The choreography was superb. The children were motivated, engaged and inspired. Their performance on the night was fabulous and feedback from the children and the parents has been very positive. The enjoyment the children experience from dancing is very special." "Rachel delivered our dance lessons when I worked at Terling Primary School. She's incredibly professional, reliable and full of energy. 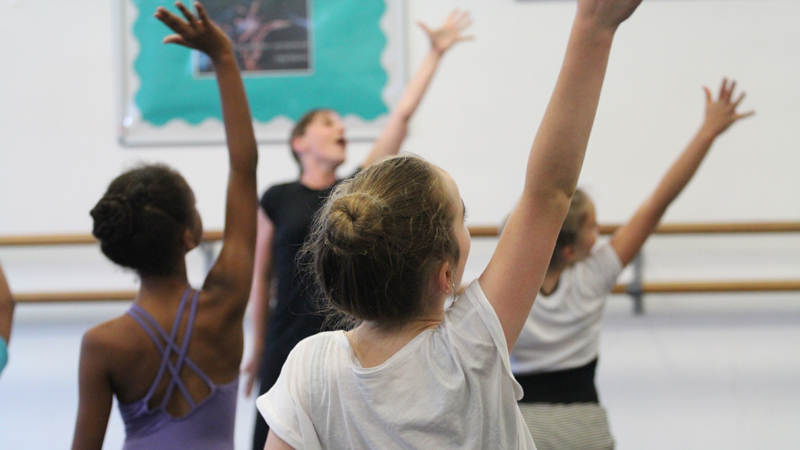 Every member of staff felt confident working with Rachel and she created such brilliant dances with the children...every single one of them loved the sessions and returned to the classroom beaming after her lessons. All children loved taking part in her inclusive lessons, and they would get changed so quickly when they knew Rachel was taking the lesson! I have since worked with Rachel to recommend her to other schools. She has original, creative and achievable ideas, and can make any teacher feel at ease with the delivery of dance. I'd highly recommend her to any Primary school looking to offer an exciting Dance curriculum or enrichment activity." "Rachel's dance club at our school has been a big success. She is a talented dancer and teacher, producing some amazing dances full of fun and interesting moves. The children look forward to the sessions and have enjoyed their time with her. We look forward to having Rachel back in September and have even more children interested in joining her club. I would thoroughly recommend you sign her up! Thanks Rachel!" "Thank you for a great CPD session last week - we all really enjoyed it. My year one teacher went home and replanned her dance unit for this half term and was very proud to show me the children dancing the next day. I have heard that the junior staff loved it too and they have said it was the best CPD they have had in such a long time. Thank you for inspiring us and teaching us how fun dance can be. I am looking forward to working with you again next year." "Thank you so much Rachel, both children and staff had great fun learning your wonderful dances. You structured the workshops perfectly, keeping all children fully engaged. The teachers were very impressed with the variety of dance types you covered with different classes and also commented on your enthusiastic teaching style. Would definitely recommend to anyone wanting fun and engaging dance workshops! Thanks again." "I had very positive feedback from all the children and staff. They were all very enthusiastic to talk about the dances that you created with them. It was a shame I had to miss it. Thanks again for a great day!" "Rachel was extremely professional during her five week block of dance lessons to two groups of 30 EYFS children. Her calm and friendly disposition helped to engage and reassure the children who were only just starting their second term in school. She devised fun and energetic dance routines for the children to learn with a good mix of music each week that the children responded well too. They were always happy and enthusiastic during her classes and Rachel used good behaviour management techniques to keep them focused and on task. We would definitely recommend Rachel to any school and look forward to having her back next year for all year groups." "Having Project Dance along gave our event another energising dynamic, the girls loved it. Rachel was so welcoming and engaging, 100% recommend." "Thank you for coming in today, the children had a great day and the assembly at the end was just super! We were so impressed that we are booking further workshops for next year... one for each half term!" "I can 100% recommend Project Dance; we were struggling with choreography for our school show but didn't want our keen dancers to miss out. Rachel was able to use our vision for the show to create dances which fitted in perfectly with the style of the play. The dancers were always given clear instruction, praise and confidence to achieve their best. Despite not all of our performers being dance trained, the whole cast group number looked fantastic and really added to the atmosphere of the play. We will certainly be using Project Dance in the future for our forthcoming shows!" "Thank you so much for all your help, it was brilliant! The children are talking about it lots this morning. We will definitely be doing 'Gotta Dance' next year, thanks again!" "I was completely overwhelmed with what Rachel managed to achieve. The children were absolutely thrilled with the dance and had such a fantastic time. You could see by their faces. Thank you once again - you really worked wonders with the children."